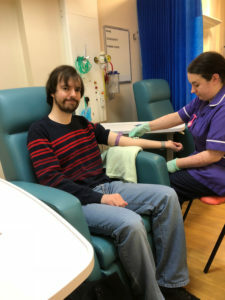 A bit of deviation from the usual content on here about my experiences with a condition known as haemochromatosis. Being British, I know how generally the discussion of personal issues generally doesn’t happen (it’s not the done thing, by golly! ), but by speaking out, I hope to raise awareness for this condition which, for many, goes undiagnosed. 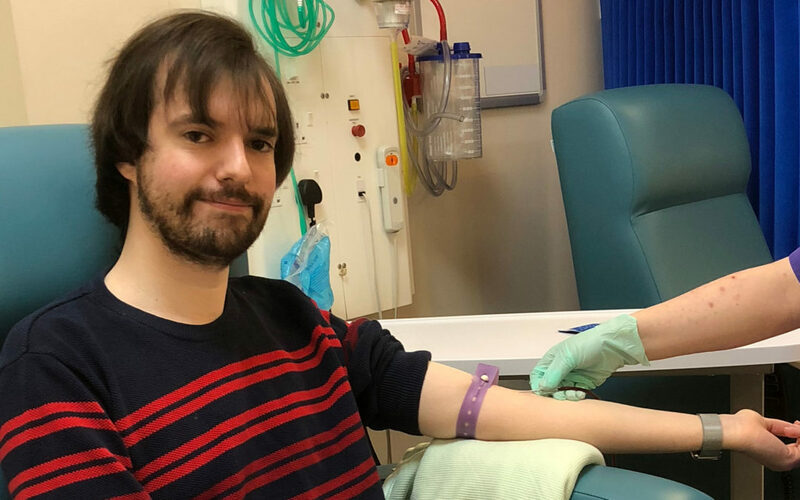 It started with a routine blood test, for symptoms totally unrelated – the way most people are diagnosed – when I was told that my iron levels were a bit high and further tests should be performed. My doctor mentioned that it may be a condition called Haemochromatosis. (or Hemochromatosis in US English) This is often referred to as “iron overload” and is a gradual process where iron builds up over many years in the form of ferritin. As the symptoms come on gradually they’re often missed or overlooked, which may be the reason why the majority of diagnosis of the condition are purely by accident. The hereditary condition occurs due to a faulty recessive gene, as it’s recessive, both parents need to at least be carriers. Therefore, I would need to get a copy of the faulty gene from both of my parents to get it. Tiredness, even after a good night sleep (fatigue). Irregular, or lack of, periods in women. It was during this research, I realised I did have a lot of the early symptoms, I had been feeling a lot more tired and lethargic, as well as being down in general. I had been putting this down to lack of sleep and working full time – all part of getting older, right? I’d also never been a heavy person, despite the high levels of fast food I’d consumed over the years. The results came back and it was confirmed that I do have two copies of the faulty HFE gene and that my ferritin levels were in the mid 500 ng/mL (nanograms per millilitre) range – the normal level should be around 50 ng/mL. Haemochromatosis can’t be cured, but fortunately, it’s very easily managed. When visiting the consultant, I was told there were two ways to treat the condition. One by drawing blood in a procedure called a phlebotomy, or with the use of drugs. The phlebotomy is the preferred treatment, which is what I opted for. This works by taking blood out of your body which the body quickly replaces, but without the ferritin. This, of course, would continue to increase over time again and a lifetime of these treatments will be required. Currently, I’m getting this done weekly, but once my levels come down to below 100 ng/mL, this will be reduced to a treatment every two weeks, and then even less frequently after I get to the target of 50 ng/mL. Me during one of my phlebotomy procedures to extract my blood to lower the level of ferritin in my bloodstream. I’ve completed four weeks of treatments, my ferritin level is down to 380 ng/mL and I’m already starting to notice a difference. I feel far less lethargic, as well as an improved general mood, whilst my iron level is still too high, I’m hoping that the symptoms will continue to improve as the treatments go on. Sadly, at the moment, my blood from the phlebotomy treatments can’t be donated and must be destroyed. But once the treatments become less regular, donation at some blood banks is an option. Blood tests would need to be done at a hospital to check on the ferritin levels. This is an avenue I’m hoping to go down in the future. I do consider myself very fortunate though, if it hadn’t been caught early on, it could lead to further complications as I get older, with liver and heart failure being very real possibilities. Once organs start to fail, the phlebotomy treatments will only be able to stop the conditions getting any worse, but the organ damage would be permanent. I also consider myself lucky, as in the UK everything from the tests to the treatments are all completely free on the NHS, and without wanting to get political, I can imagine people in countries where free healthcare isn’t a thing may even find such a simple treatment out of reach. If the symptoms feel all too familiar to you, I’d urge you to look at the following resources, and book an appointment to see your GP to arrange a blood test specifically to check for haemochromatosis, as this is not generally covered under a routine blood test. It’s also important that if you happen to find you do have the condition, to get other members of your immediate family tested too as this is a hereditary condition. I really hope my experience and this post helps spread awareness of the condition. My name is Robert Ian Hawdon. I am a Systems Administrator for software company based in the North-East of England who specialise in online gambling platform solutions. I have a Bachelor of Science Honours degree in Network Systems and have an extensive experience in IT, in particular Linux and the Windows Azure platform. My website is hosted on my own personal server (under the name OP-EZY) which I’ve been maintaining for over a decade. My adventures into the world of GNU/Linux. Part 6 - Just another Linux server - Robert's Blog on My adventures into the world of GNU/Linux. Part 5 – Portability, 64 Bit, Chameleons, and leaving via the Gate.